The Hair Stick is 7 Inches long and about 1/4 inch thick. 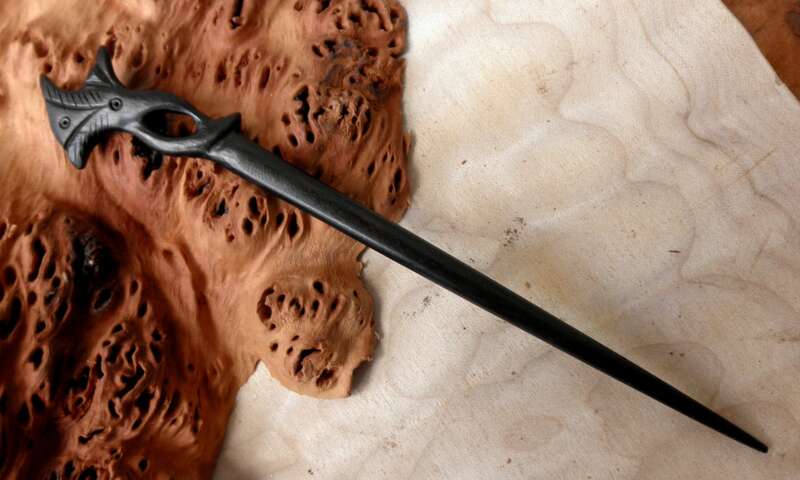 The top 1 1/2" is a Hand carved flower resembling a " Night Blooming Cereus" flower about 7/8" wide at the widest point. The balance of the stick is straight and tapers from about 1/4" at the thickest point down to about 1/8" at the end of the stick. 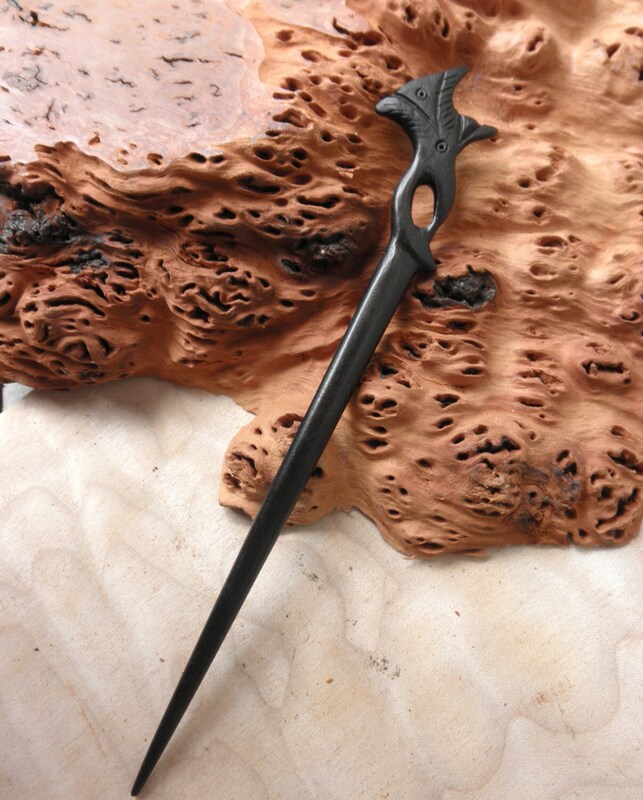 I consider this Decorative Ebony stick to have medium holding power due to its length. 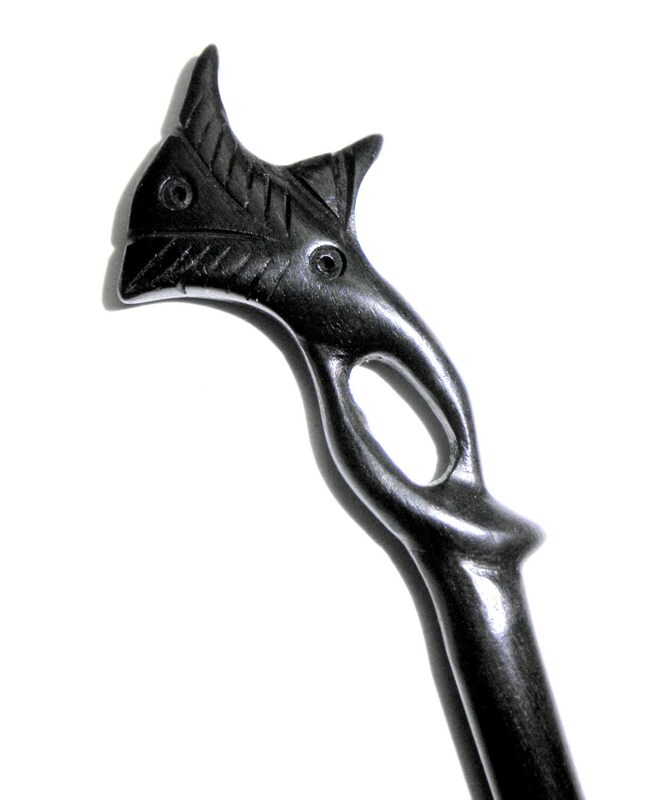 The use of Hair Sticks as "levers" is not a good idea as most Hair Sticks are decorative and they will break under excess stress. This stick is not made to be able to withstand more then normal torture that my Ebony Conical Hair Stick can handle..